with a brand new Simple Way studio microphone. Find your way around a recording studio or a live venue. Learn to record, edit, mix and master. Learn to make any style of music, using only a computer and a DAW. A fun and playful way to learn music. A private session with a tutor. Ask us anything! 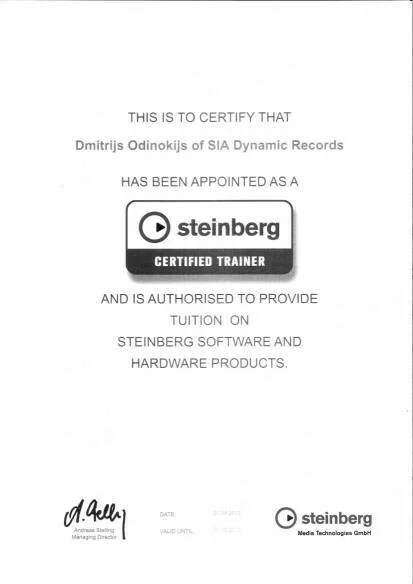 We are a sound engineering and music production school, certified by the Riga city council and the only Steinberg and Ableton certified school in the Baltics. Anyone who is passionate about sound and music. Our program is equally well received by kid and grownups and even experienced musicians and producers will find the course incredibly useful. Private lesson are what we do best. Learn at your own pace, have all your questions answered and get instant feedback from your tutor here at the school or online. The lessons are one or two hours long and the intensity is adjusted for each individual student. Rick Feds enrolled at out school when he already was an accomplished drummer and composer. He decided to take the course to be able to implement technologies into his music and learn new techniques to take his performances to a new, completely stellar level. Anton took both music production and sound engineering courses, which led him to find his own, unique musical and performance style. He is actively producing and performing under the name Noisy Monk. Ren enrolled at the school to be able to arrange and record live instruments for her own tracks. She is now working on Rain Cliff project, where she is a songwriter and main vocalist. 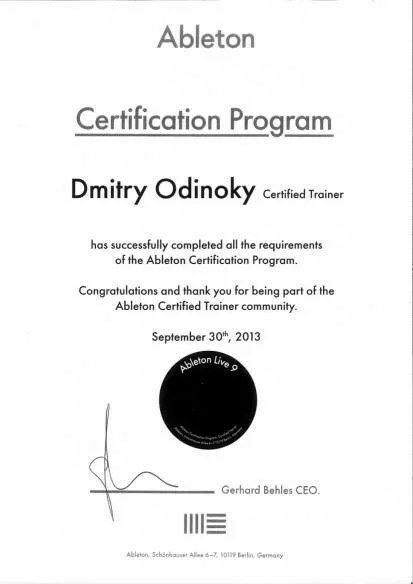 Ilya took music production and sound engineering courses. He has created a platform called RGBeatz, where he sells beats, sample libraries and track templates. He works with different artists as a producer, mix and mastering engineer. In my feedback I am not presenting any music labels or bands, I just had passed the courses in the soundschool.lv. the training program was quite modified, I am excited to see such understanding and flexibility from tutors side, RESPECT! Additionally, I would like to say that guys are always ready to help you with advices, contacts and ideas. as well as interesting and positive people with great experience in the music industry, enjoy!!! Звукорежиссёр и композитор, закончивший высшую школу SSR в Манчестере. 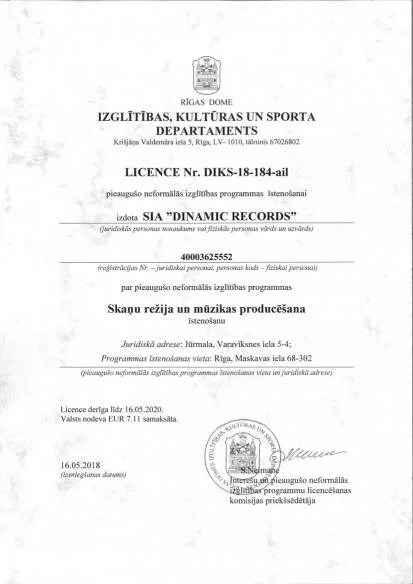 Logic Certified, AviD Certified специалист.